Basketball is changing and the three points shot is becoming a real weapon for everyone and a trend that the teams are using. The sport is becoming faster and faster, while shooting ability is a must for every player, no matter which position they play. Today nobody gets surprised when a center is shooting threes, quite the contrary. Many players have the license to shoot and that was the case this week for Gaziantep who fell short just for two shots from tying the record for most three pointers attempted in the Basketball Champions League. 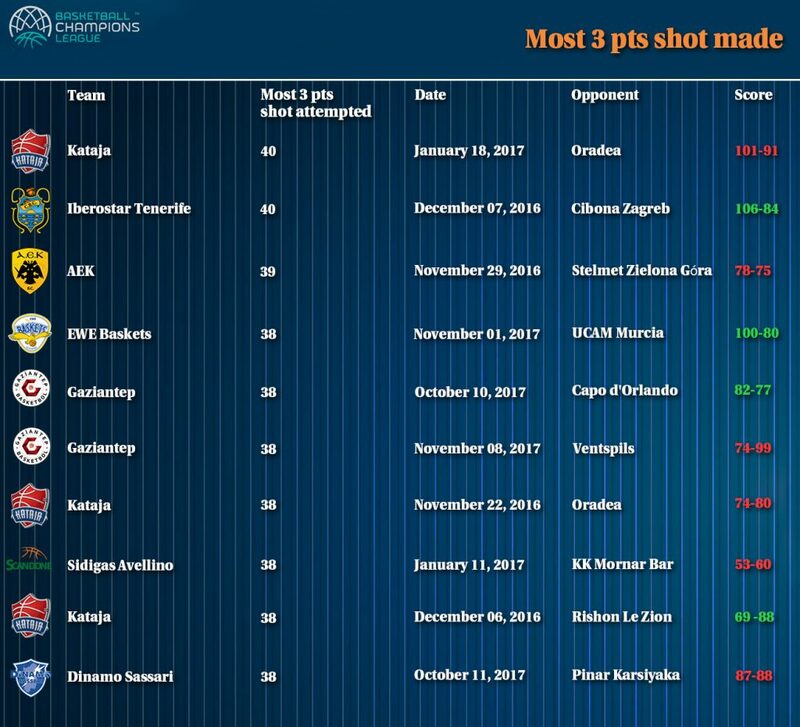 As you can see in the following table, the record from last season is 40 and for Gaziantep this was not the first game in which the players of coach Stefanos Dedas took 38 long range shots. In total 10 teams have taken from 38 to 40 shots behind the arc in the last two season. And as you can see from the results – Green for a win and Red for a defeat – shooting threes is just the path you may chose and it doesn’t guarantee much.